It is my opinion that we all have this little voice in the back of our mind we often refer to as intuition. So, what is intuition? I believe it is that occasional gut feeling we get or the little voice in the back of our mind that warns us of what is going to happen if we keep going in a certain direction, if we take specific action or if we don’t take specific action at all. We don’t all listen to that little voice or gut feeling and things tend to go awry. Some people can’t hear their intuition, it seems to be too quiet or they pass it off as paranoia, fear or imagination. Some are very good at paying attention to that intuition and seem to always be on top of things. But even the best of us can be swayed away from our intuitive perceptions with lies and deception. Have you ever had a strong feeling about a situation that involved someone you trust wholeheartedly? Did you confront this person to get an explanation that seemed to make sense at the time and made you think that you are simply wrong? I have learned that some people who wish to deceive you will work very hard to get you to ignore your intuition. Sometimes we even deceive ourselves and tell ourselves that we are wrong. Our intuition doesn’t always tell us what we want to hear. I know that every time I excused away an intuitive feeling, every time I denied what that little voice was telling me, I got into some trouble. I got mixed up with the wrong person or I was betrayed or worse. Listening to that intuition is the hardest thing to do sometimes because what our intuition is telling us to do goes against our nature. For example, if we are a very loyal person we may have difficulty breaking loyalty to someone even if it means the person we are being loyal to is going to destroy us by using our own loyalty against us. Some people are right down clairvoyant while others depend on another person’s intuition. It is true, there are some who are so in touch with their intuition that they can give you details of a situation. They are good at interpreting what their senses subconsciously pick up while others are completely unaware. Sometimes when someone seems to genuinely care about you, someone who you know has your best interest in mind and you know this person is very good at interpreting their intuition, it might be a good idea to at least consider that this person might be on to something. Think about it with an open mind and from outside the situation. If it were a friend and you were giving them advice, what would you tell them? What is your gut telling you? Are you feeling afraid of something? Why are you feeling that way? What is your fear based on? Are you missing some warning signs or red flags and your intuition are screaming at you that there is a danger ahead? It is in my experience that people, in general, n general want to be lied to. They don’t handle the truth well and often live in denial. Then, one day truth slaps them in the face and they are blind sided with reality. It happens to us all because at one time or another we want to believe in something so badly even if it is a lie that we ignore our gut feelings.Yes, even I am guilty of that. Or a victim of my own denial. That is where meditation comes in handy. if we sit quietly and listen to our gut feelings or that little voice in the back of our mind, we can usually come to terms with the truth of our intuition. Sometimes what we want to believe, is so mixed up with our basic intuition that it gets confused and that is when we make mistakes. We are only human after all. That is when we should seek out the intuition of others. maybe get a tarot reading from someone else just to get a different point of view on the situation even if you have already done a hundred readings for yourself. 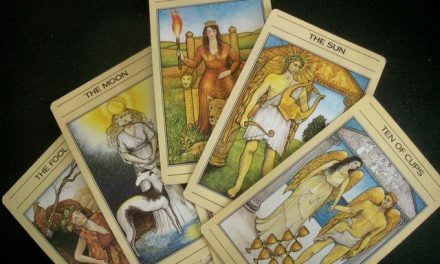 When you are not sure about the message in the reading sometimes it is helpful to get the insight from another who is experienced at tarot or other type of divination tool. Not so much to tell you about your love life or whether or not you will make it rich but whether or not you are on the right path. A perspective outside the confines of your own biased way of thinking. One example that comes to mind is that I knew what I had to do and I knew I was on the right path but to confirm what I already knew I got two other readings. My readings and their readings all said the same thing. It was clarifying. Another example is someone did their own reading and came up with their own interpretation then asked me to give my interpretation of that same reading. My interpretation was a little different and had a bit more detail. They didn’t like my interpretation and told me so. They didn’t agree with it. It had some unpleasantries that were going to happen so that they could move forward. They were very constrained but something had to come to an end for them to be relieved of it and gain freedom. I told this person what I thought it was talking about and it was unpleasant for them. But it did come to pass and now they don’t want to go back. Sometimes our desires are in conflict with what we intuitively know is coming. I know if I mention that my intuition is telling me to prepare for something negative others are taken back by it and accuse me of causing it to happen. Someone in my life told me once that if it is foreseeable it is preventable. I don’t believe it is always preventable but I do believe that if we can foresee it, we can lessen the blow even if we can’t avoid it completely. It’s like a weather forecast. There is nothing mysterious about it but the weather forecaster can predict a storm. That doesn’t mean the forecaster is creating the storm, but it means we now have the opportunity to prepare for the storm. If we know there might be a flood ahead of time, we can fill sandbags or build a boat to survive the flood. 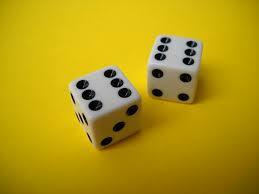 If we know ahead of time that there is a possibility that someone we trust will have ample opportunity to screw us a new hole legally/financially in a divorce or other matter than we are given the opportunity to prepare our responses ahead of time. Maybe even be able to take action to prevent it from happening in the first place. Ignoring our intuition is like driving in the rain and seeing a set of headlights coming directly at us. We see it coming but we keep going straight ahead into the headlights with our eyes closed hoping we will survive. If we keep our eyes open and take evasive action to prevent the collision in the first place we are likely to not only survive but come out without much damage. That is why it is important to always follow that intuition even if you think it is wrong. Sit quietly and listen to the soft voice, pay attention to that gut feeling. Your subconscious is trying to tell you something. Your guardian angel is trying to help you out. Take a moment and listen even if it may go against manners or social etiquette or even your sense of loyalty. Mentally step out of the situation and look at it from an outside point of view. It may help. 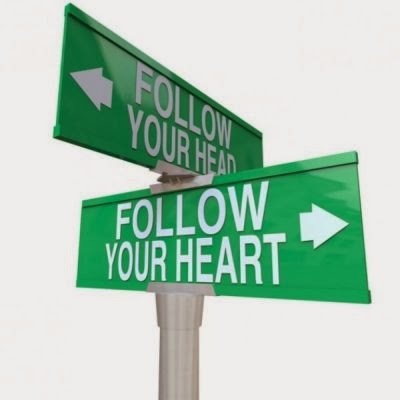 Most of all follow your heart. Listen to your intuition.